The meeting was held at Rochester Mills Beer Co. and was called to order at 7:05 by Steve Vigneau. 27 members were in attendance. -Bids are out for design to several companies. 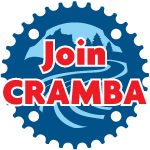 -CRAMBA is giving $3,000 to the Metro Parks for development with more to come in the future. -The redesigned trail will begin and end at a parking lot and one of the goals is to allow fatbikes in the winter, and not interfere with the XC skiers. -Complete revision of IMBA by using local organizations such as MMBA. -The old system was IMBA took 50% of the annual donations. Now they will be taking $12 per donation, no matter how much the donation is. This could be as much as an extra $7,000 for CRAMBA. -We are also hoping for a 2018 grant as well. -Chris also reported that CRAMBA reached its 2017 goal of expanding membership from 400-500 members. -New trailer for the snowmobile is working great. Old trailer will be sold for a nominal fee. -The park director wants to develop another area of the park. Plans are being made to possibly develop a bike park in this location within River Bends. Another meeting is planned for February. More to come. -Ay CRAMBA Its Cold Out is February 3rd and the backup date is 2/18/18. Pot luck, beer and wine allowed, bonfire, and multiple bike shops will be setup. -The weekly group rides on Tuesdays are still going throughout the winter. -Still waiting for clearance on additional 1 mile of trail to eliminate the asphalt section. -Will be losing the funding received from the annual 5k Run. -Looking for new patrollers around April or May. Nest Chapter meeting will be April 17 at Rochester Mills Beer Co.